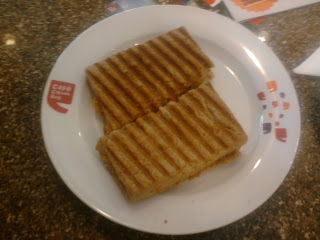 The Café Culture: Paneer Tikka Sandwich - Simply Fahad-istic! The unsalted fresh Indian cheese,Paneer has a mild milky flavor,making it suitable for use in a variety of sandwich fillings. It is National Sandwich Day!What can be better than Paneer Tikka Sandwich today,a preparation that is personally,very close to my heart since I made a version of this for my first ever culinary competition,in college.Paneer tikka is combined with luscious cream cheese and smooth mayonnaise,crunchy onions are added,sprinkled with freshness of cilantro and tang of chaat masala,filled between slices of soft multigrain bread.Life can't any get better! I am also sending this recipe to the Lets Cook With Leftovers event. In the meanwhile,combine the chopped paneer tikka along with cream cheese and eggless mayonnaise in a bowl.Once mixed well,add the remaining filling ingredients - onion,green chili,cilantro,lemon juice and chaat masala.Taste this creamy yet chunky filling and check if you will like some salt and pepper(Remember,both cream cheese and chaat masala contain salt).Divide into four equal parts. Now,keep four slices of multigrain bread on a dry,clean surface.Spread a portion of filling on each and top with the remaining slices. 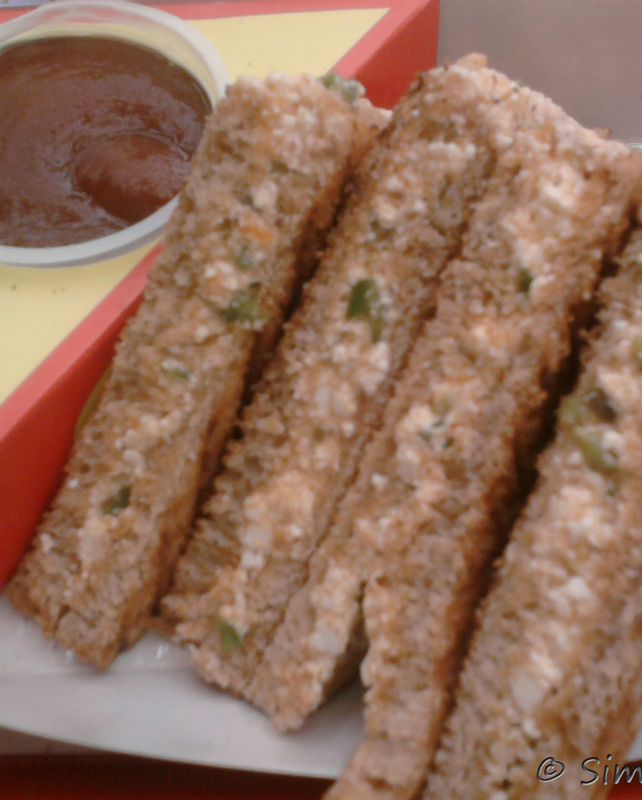 Grill the sandwiches till crisp,light golden on both sides and grill marks appear.Enjoy with tomato ketchup or mustard,and don't forget to lick the crumbs off your plate! 1. If you prefer plain or toasted sandwiches to grilled ones,treat the bread as per preference. 2. Try using this recipe with chicken tikka instead of paneer for a non vegetarian version. This sounds great! I would have never thought to make a sandwich of this!